Recognize the need. Fill the need. It is the most basic of business concepts, but still one of the most vital. Those that are able to pinpoint an opportunity in the marketplace and seize it, enjoy first-mover advantage and prolonged success. Clean & Green Express Car Wash is open around the clock. Plenty of stacking helps utilize the relatively small site. The site features an in-bay automatic wash unit. Clean & Green’s all glass building helps draw in the customers. Free vacuums complete the mini-express concept. 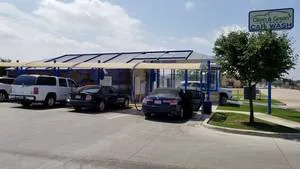 When Josh and Tiffiny Boschee moved to the suburbs of Denton, TX seven years ago they were struck by the absence of a quality car wash in their neighborhood. 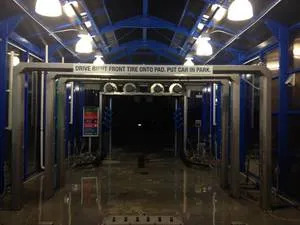 Sure, there were a plethora of $3 express washes in and around the Dallas-Fort Worth metro area, but in their local community the automated wash market was relegated to a couple of stray gas station in-bays. 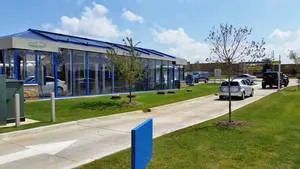 Recognizing the area was ripe for the development of a well-run, quality car wash operation, the Boschees were ready to jump on the opportunity. But like many first time car wash investors they were confronted with one major obstacle: funding. As first-time investors they didn’t have the capital to build one of the massive express exteriors that were commonplace in their market. What they needed was a price-conscious alternative that could connect with customers used to sprawling express locations. They found what they were looking for and more in Autec’s InBay Express model. “We are in the Dallas-Fort Worth metro area which is just dominated by big washes,” Boschee says. “When we moved here seven years ago there was a $3 car wash on every street corner. That was the market, based on big volume, long tunnels, and free vacuums everywhere. The in-bay express checked all the boxes for the Boschees. 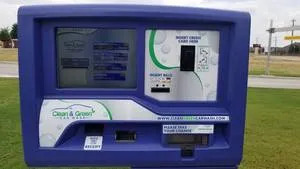 It allowed them to open their small-scale Clean & Green Express Car Wash in their local neighborhood on around a half-acre of land, yet still attract wash customers accustomed to massive express operations. To help win over the local market they opted for Autec’s longer building option, an ICS pay station, and plenty of free vacuums. 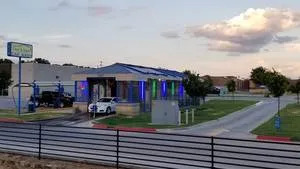 Autec’s InBay Express Car Wash business model features an in-bay automatic wash unit (soft-touch, high pressure, and combination) coupled with an aesthetically pleasing glass building structure. According to the manufacturer, the solution can fit on less than one-third of an acre, operate around the clock without staff, and process 25 to 30 cars per hour. After four years in the car wash business, the Boschees are first-time investors no more. And while they plan to build and operate more small-scale InBay Express locations, they are currently in the midst of a different kind of expansion. Recognizing the demand in their market, the Boshees are currently building a conveyorized express location just two miles from their current mini-express site. The city of Denton recently finished construction on a new six-lane road through the center of town that connects the entire north side of the metro area to the airport. It has become central to the whole metro area and is the main road connecting north side residents to the town center. The Boschees purchased two acres of undeveloped land on the new road and when construction is complete in the first half of 2019, the express wash will be one of the first businesses open on the new thoroughfare. Once complete, the narrow two-acre site will feature a Modernwash building, housing AVW wash equipment and a 120-foot belt conveyor. The building will feature an open-air concept, all-glass tunnel complete with a tower, and an architecturally striking curved roof. 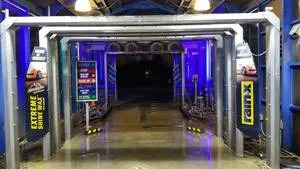 In addition, the site will feature 20 extra-wide free vacuum stalls that will be open to the public whether or not they purchase a wash. In addition to the site currently in operation and the one under construction, the Boschees are also in the midst of a major acquisition. They are purchasing an old school, full-serve location and converting it to a flex serve. The site has a solid base of modern wash equipment, and the site will remain open as the Boschees do some minor renovations to convert it to a flex serve. Spot-free and reverse osmosis machines will be added to the equipment room, new payment stations will be installed, and some minor concrete work will take place. The entire renovation shouldn’t take more than four months, and the site will only be closed for around a week for a re-branding and go-live with the new equipment. 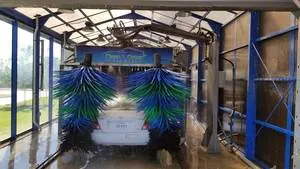 The Boschees entered the car wash business when they saw an opportunity in their local market. That philosophy is still the guiding force behind their successful business model. Whetherthey are building from the ground up or renovating an existing site they pinpoint a need in the market, and fill it.